This is the perfect time of year for enjoying outdoor living spaces and front porches can be just the spot for socializing with friends and neighbors or just relaxing quietly and enjoying the sights and sounds of nature. 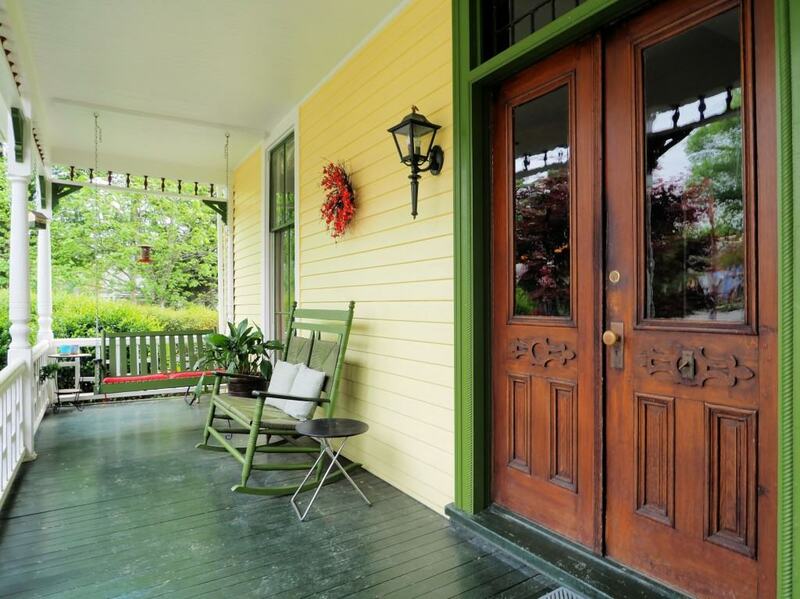 What can you do to make your front porch extra-inviting this year? Arrange a mixture of seating choices, including colorful pillows, on your porch along with a table to set things on so that you and your guests have a place to set down your cold beverage, book, or cell phone. Live plants are also a nice touch and so many varieties can live happily and carefree on a porch almost year-round here in N.C. An old-fashioned porch swing is always a fabulous, fun touch. Dining tables, colorful rugs, and even curtains are popular additions to porches that can expand their use and turn a porch into another room of your house, one that is heated and cooled naturally.